Israel is Holding Syrian Refugees on the Golan Heights. 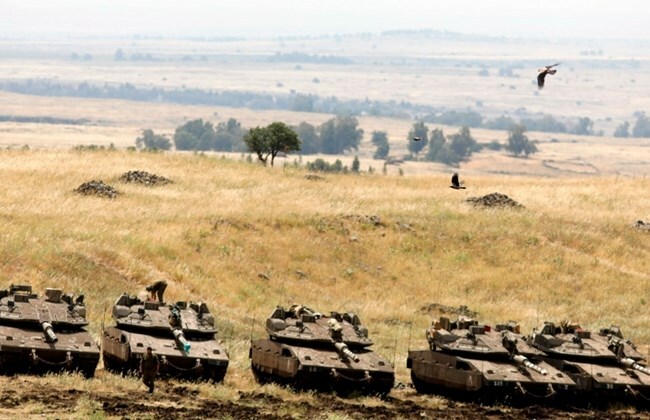 Israeli soldiers have stopped Tuesday Syrian refugees trying to reach the part of the Golan Heights occupied by Israel. Thousands, if not tens of thousands of citizens are trapped between the advancing Syrian army and rebels that resist. “We are desperate for help, our lives are in danger, we hope that Israel allows us and that we can then travel to Europe”, said a refugee against the Israeli news channel Ynet.